President Recep Tayyip Erdogan will meet with his Russian counterpart Vladimir Putin on April 8 with an intense agenda including regional developments, bilateral relations and Ankara's purchase of the S-400 missile defense system. Erdogan will attend the inauguration of the "2019 Turkey-Russia Culture and Tourism Year" at Moscow's famous Bolshoi Theater after attending the Turkish-Russian High-Level Cooperation Council (ÜDİK) meeting. The president will also watch the Troy Opera at the Bolshoi Theater. A crucial topic expected to be discussed between the two leaders is the recent developments on Ankara's acquisition of the Russian-made S-400 missiles amid mounting pressure by the U.S. to abandon the deal. On Monday, the U.S. halted the delivery of equipment related to the F-35 stealth fighter aircraft to Turkey, marking the first concrete step by Washington to block the delivery of the jet to its NATO ally as Turkish officials have refused to back down from the planned purchase of the S-400 system. 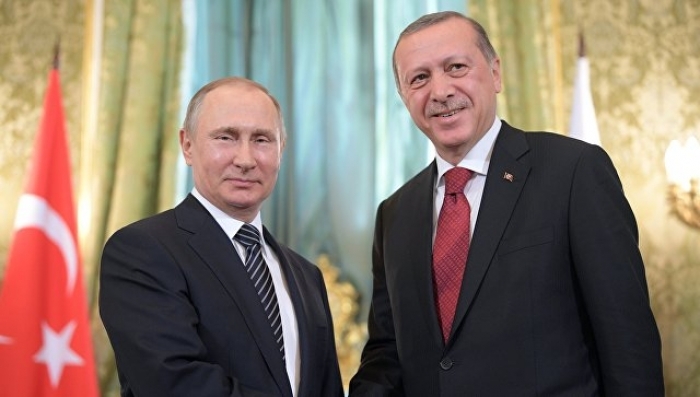 Erdogan and Putin will also discuss the latest situation in the massive joint projects including Turkish Stream and the Akkuyu Nuclear Power Plant. Russia's Rosatom is constructing Turkey's first nuclear plant in the southern province of Mersin. Work at Akkuyu started with an agreement signed between Turkey and Russia on May 12, 2010. Construction of the plant started on April 3 last year at a groundbreaking ceremony attended by Erdogan and Putin via a video conference call from the Beştepe Presidential Complex in the Turkish capital, Ankara. The two countries also have the joint TurkStream gas project, which is composed of an offshore segment of 930 kilometers and an onshore segment of 225 kilometers on Turkish soil.